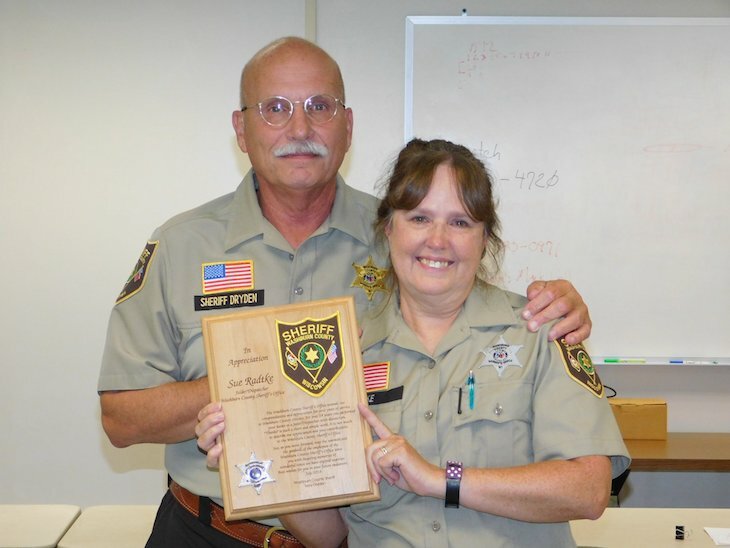 SHELL LAKE, Wis. -- A Washburn County Dispatcher/Jailer has retired and honored with a plaque thanking her for her service, according to a news release from the Washburn County Sheriff's Office. (News Release) -- A very dedicated Dispatcher/Jailer has retired from The Washburn County Sheriff's Office. Sue Radtke recieves a plaque thanking her for her 24 years of service to Washburn County. Sue served in the "behind the scenes" role of getting help to citizens, back-up for Deputies, and keeping security in the jail. Thank You for your service Sue! Best of Luck in your next adventure!